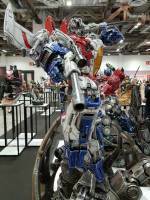 We are moving away from Hascon 2017 for a bit to focus on a reveal at the Singapore Toy, Game and Comic Convention 2017. XM Studios has revealed their Hasbro Licensed Premium Collectibles Optimus Prime and Starscream statues in full color. You can check out videos from the event and the images, after the jump. truthfully, the farther this franchise goes, and the more others ala Marvel come along, there was really never any excuse for how absurdly and ridiculously off-model they went with the movie-verse, short of the movie side getting better royalties and points on the merchandise since they "created" the designs. 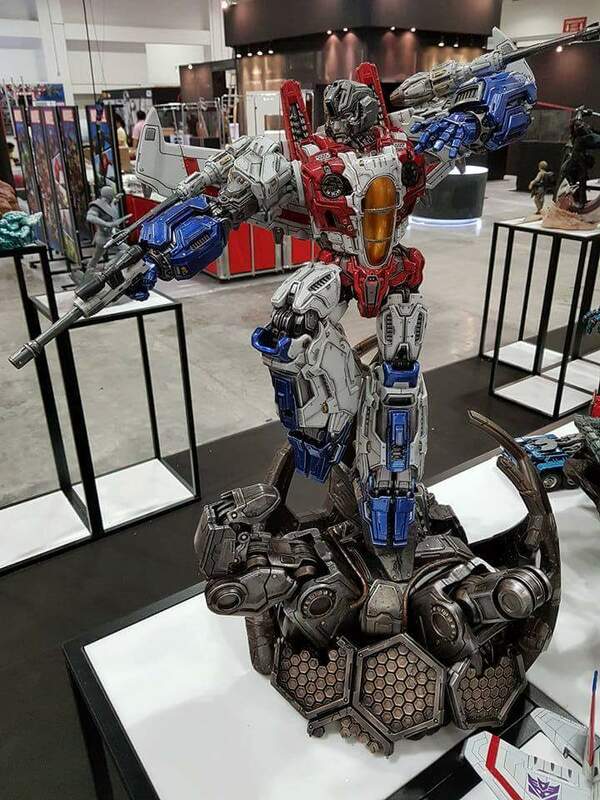 Some CG renders of the Starscream statue. 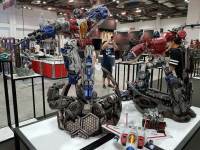 Both robot and Alt-Mode. I want those in my front yard. They look fantastic! Well, other then the high gloss look. They overdid that. 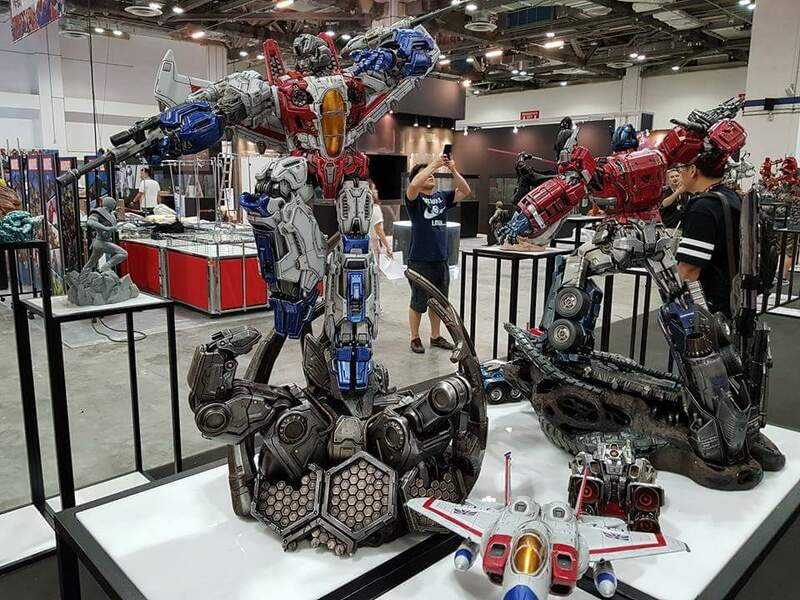 Still absolutely adore the Optimus statue, but the Starscream one doesn't do it for me. 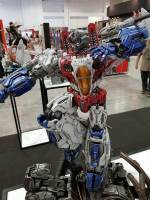 It has elements of things I like, but ultimately, I love that Optimus looks like he came from an actual vehicle. 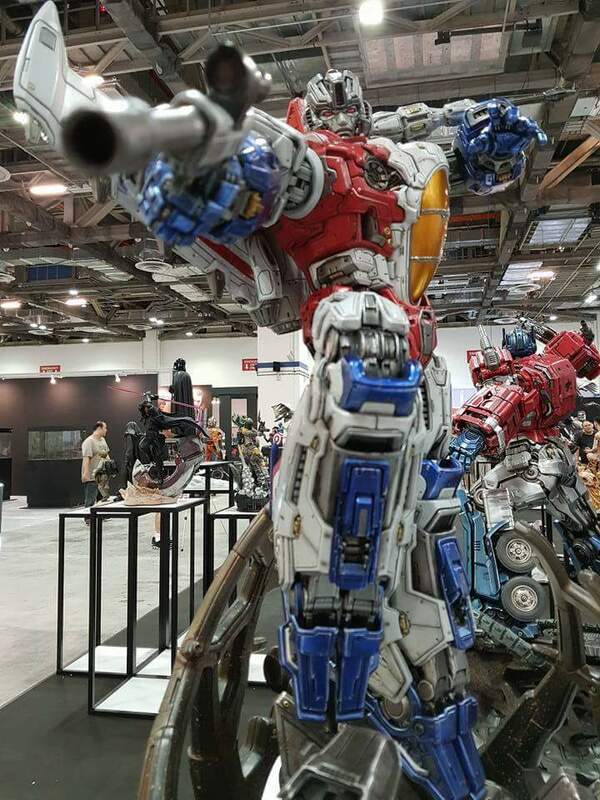 Starscream….Does not. He's way more anime in the design approach, with blatantly made up parts that don't match any kind of real life jet. 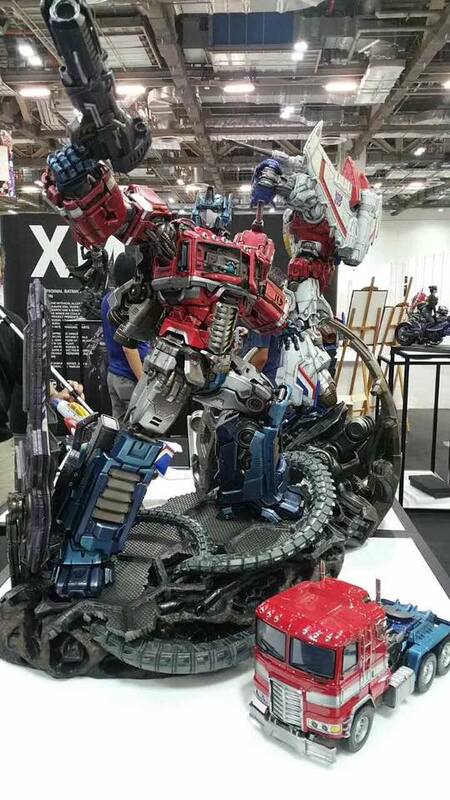 And that's one hell of a shame after how good their Optimus was. I wonder what this will go for…. 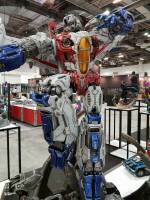 I want a Starscream like this. 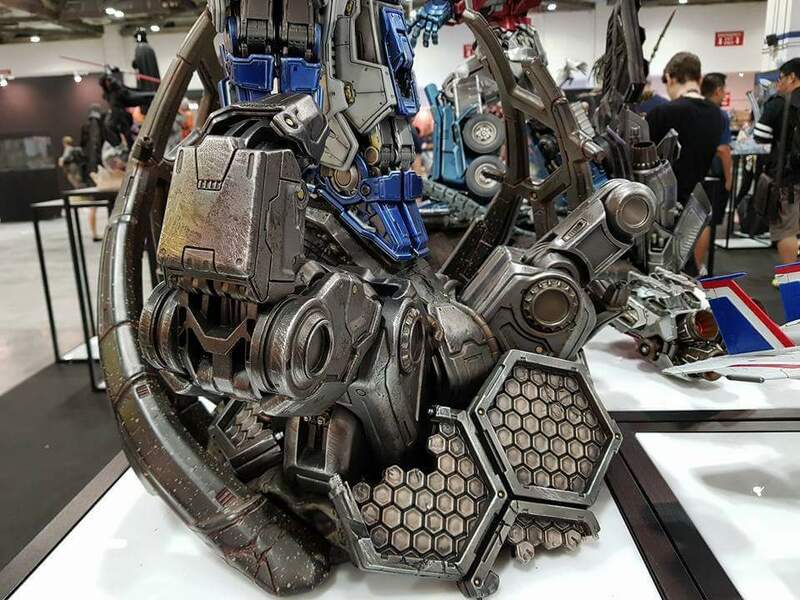 Personally, I love the work involved in creating these statues, and if I can afford them, I won't hesitate to buy! but still, I must admit the design could have been better for the price. But fine, yes, I admit it, I'm a perfectionist and small details are extremely important to me…but oh well! still. I admit they are true works of art, and overall still quite stunning (and I better start saving if I am to get one for 2000 SGD + shipping!). My maximum outlay on a figure/piece is around £750 on Ultimetal Prime, unfortunately, I just can't go anyway near that at the moment, let alone past that, so these will be ones that got away. i want to see Josh Nizzi\'s Transformers Age of Time statues. I wish the movies had looked like this. Can I order the bases only? 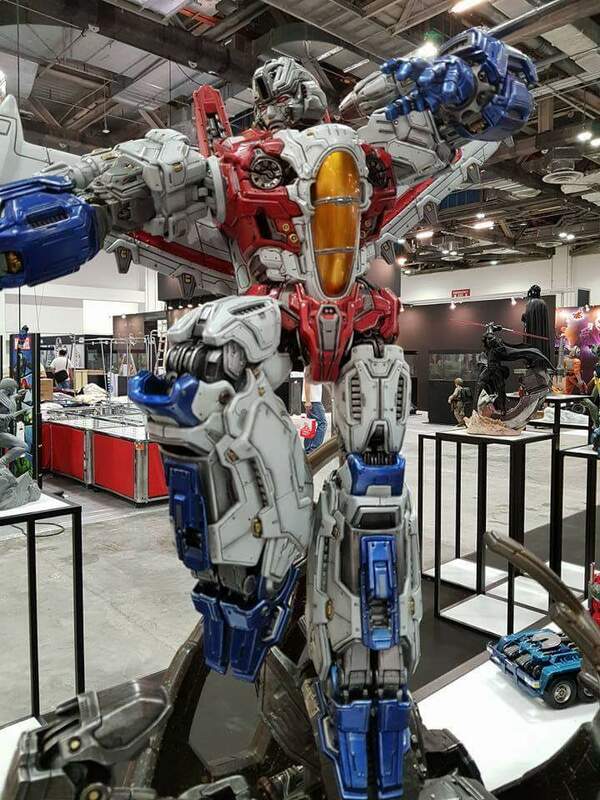 Wow, Starscream looks awful to me. 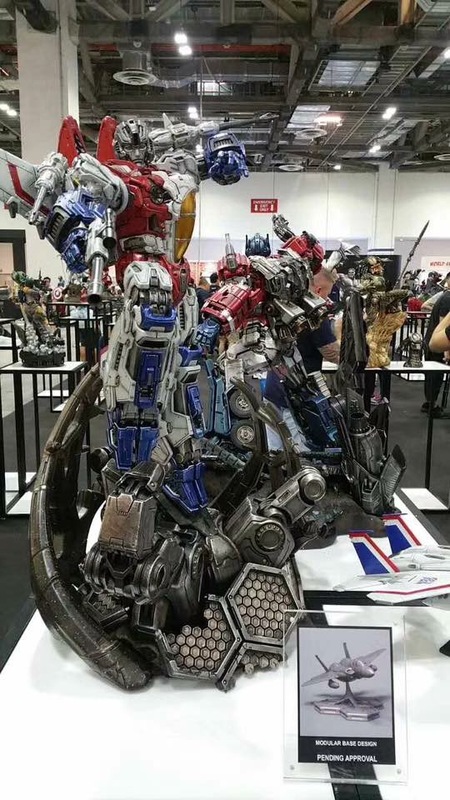 Optimus looks okay. 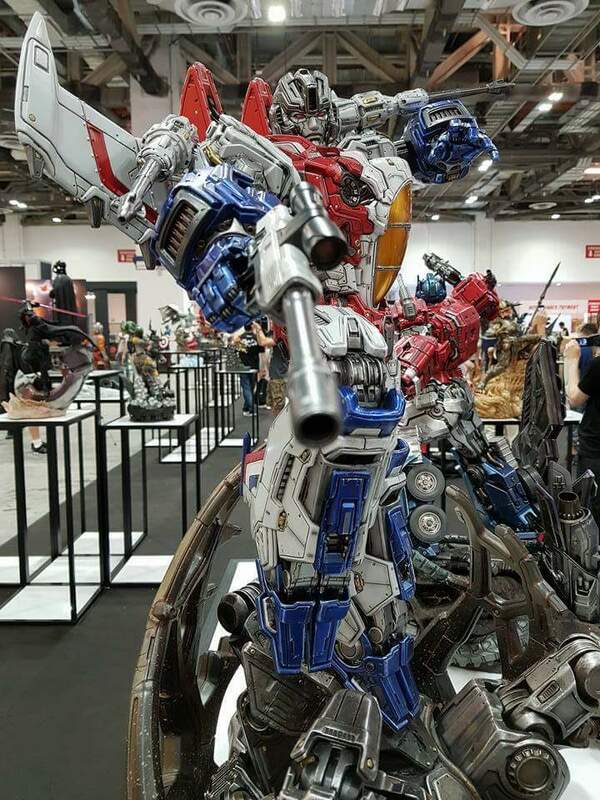 They both look a little over-designed and Starscream feels very gundam-like and I don't like it. Oh, those are nice, really nicely done. 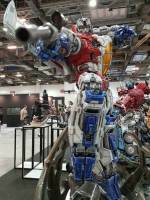 There's so much top-end TF stuff, they really show the Hasbro figures up. Point me towards a real alien transforming robot and I'll decide what looks real to me and which design doesnt. Haha I overheard this guy at a toy show telling his daughter yeah I don't think mom would appreciate me getting this, to which the daughter replied well, you can hide it in my toy box dad, mom will never find it there. Hahaha brought a tear to my eye, thas wassup! Dear lord… these are gorgeous! Truly beautifully crafted and painted! And… wait, do they have the alt modes!? Oh man, I\'m not normally interested in non-transforming ttransformers, but these are a spectacle to look at from any angle. I suppose that\'s XM studios for you .